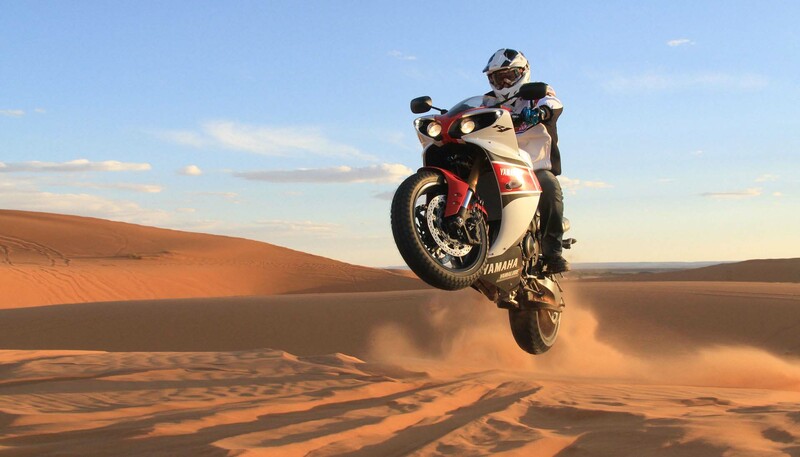 When you think of the ultimate adventure bike, your first thoughts probably lean more towards bikes like the class-leading BMW R1200GS. 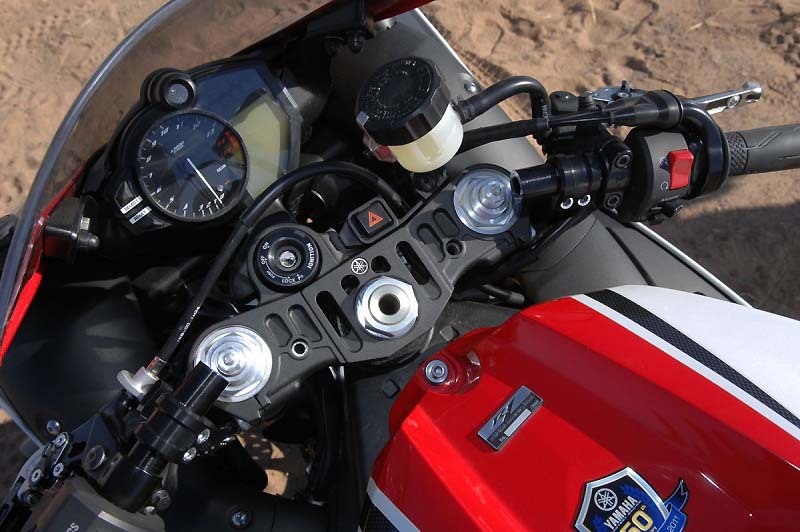 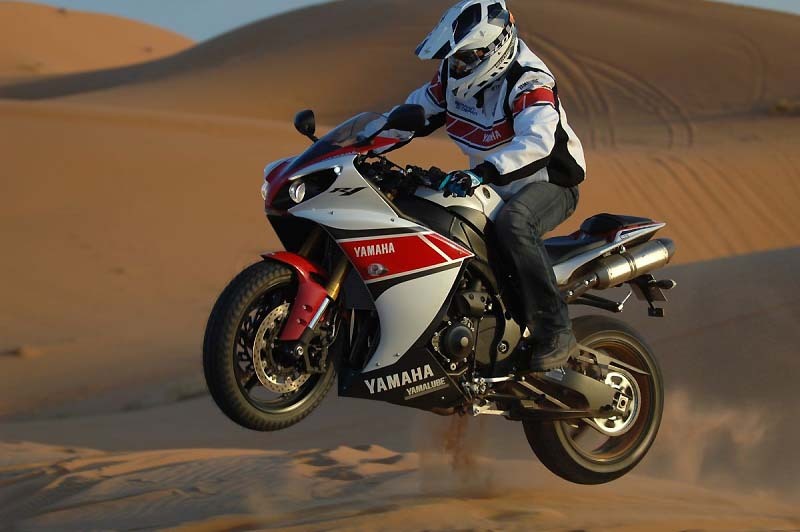 If we continue that thought, and said that the ultimate ADV machine was in fact a Yamaha, you would of course then expect to see the subsequent words to center around the Yamaha Super Ténéré (read our review of the Yamaha Super Ténéré here). 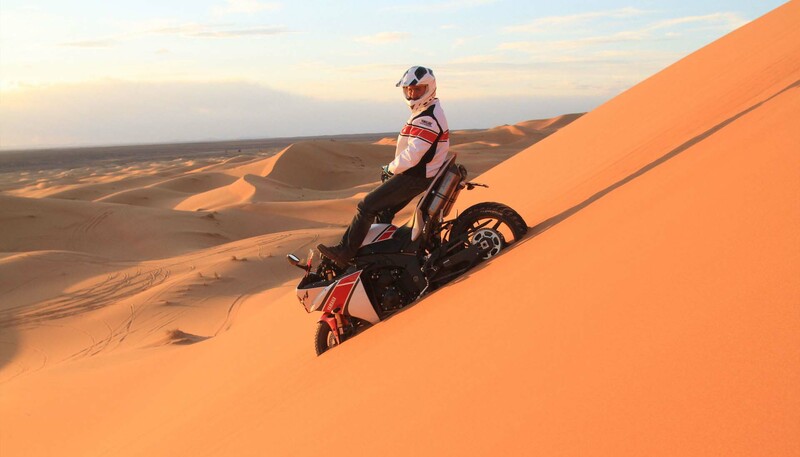 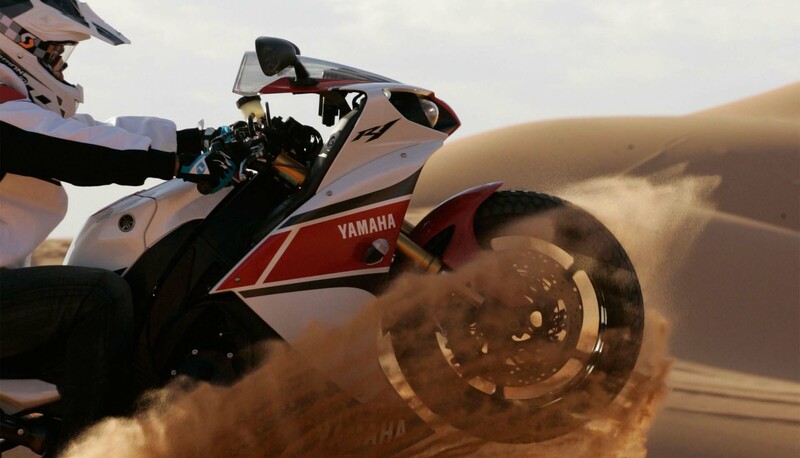 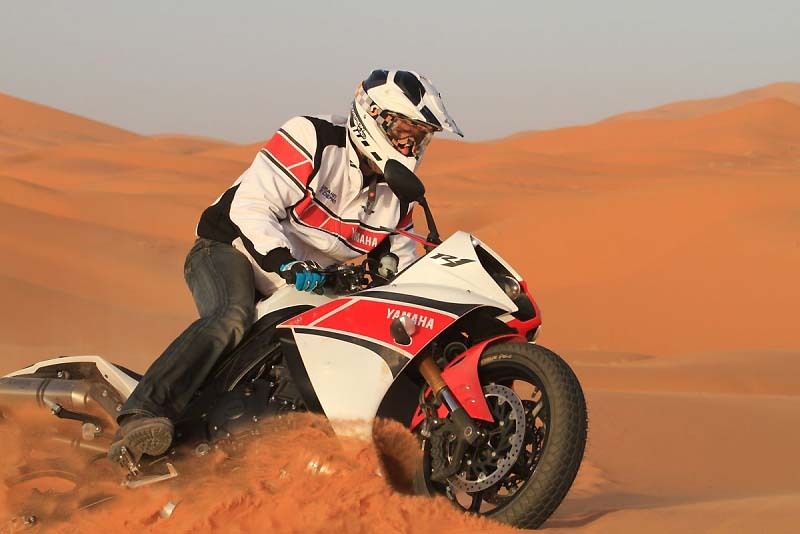 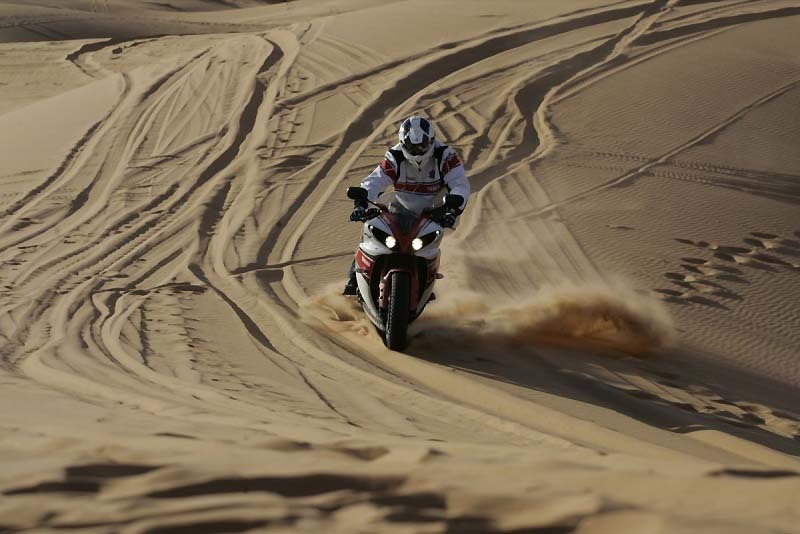 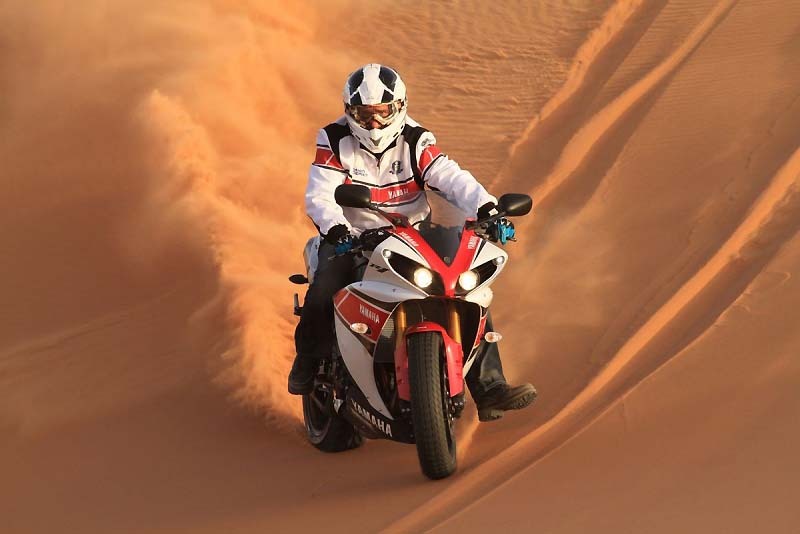 Well, someone in Yamaha’s French office is our flavor of crazy, as they let six-time Dakar Rally winner Stephane Peterhansel loose in the sand dunes of Merzouga, Morocco on a Yamaha YZF-R1. 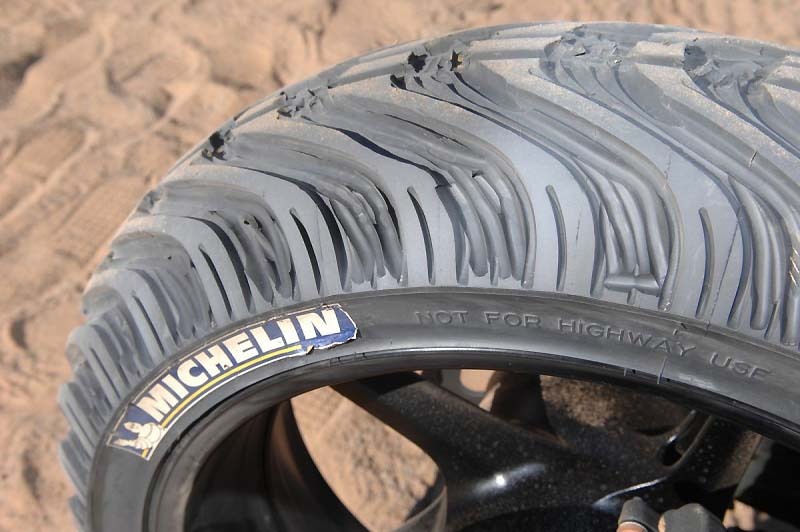 Shod with exquisitely hand-cut Michelin tires, Peterhansel flexes the 180bhp machine over the dunes with proper rallying style. 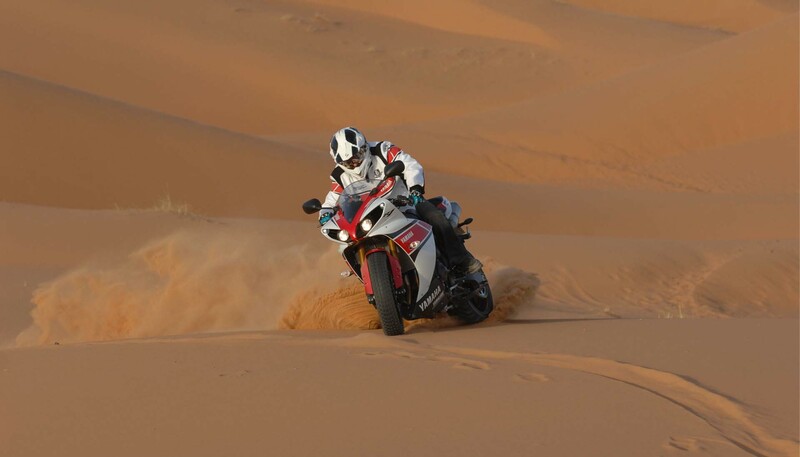 Truly gorgeous shots, if it is available in your area, you’ll want to pick up the latest copy of L’Intégral magazine to see them in the gloss and read Peterhansel’s thoughts on riding the R1 in its non-native habitat.